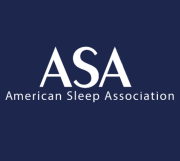 Welcome to the inaugural Ask the ASA, a regular feature that allows our visitors to ask questions and receive answers from the American Sleep Association! Use our contact form to send in your questions (or send them to us via Facebook or Twitter), and we’ll select the best ones to receive answers from the ASA. This time around, Dr. Neil Kline from the ASA answers a question about dreams. For months now I have had no problem going to sleep, but I seem to dream all night and every night about the most random things — people I haven’t seen for years, lost loved ones too. I wake up shattered. I was told by my doctor that I have minerears/vertigo, but feel it’s because I’m so tired as haven’t had a restful sleep. Dreaming is a normal part of sleep. On average, adults have about 4 – 5 dreams (or Rapid Eye Movement Sleep ‘REM sleep’) sessions per night. The longest, and most intense, dream session is right before we wake up. This is usually the dream session that we remember when we awaken. Although there is much that we know about sleep, there are still many mysteries about this field, including why we dream what we dream. Many scientists feel that dreams are the brains way of dealing with past events. As far as medical conditions discussion, I will defer that to your doctor.